It's been a fun week around here. One week ago today, I opened my first can of pure pumpkin to test out a homemade pumpkin spice latte recipe. Two stitches later, I've been forced to deal with a bum pointer finger. Friendly reminder: Take the lid of a can all the way off before you scoop anything out of the can. Seriously, I could see my tendon. Thankfully, there wasn't any damage to the tendon itself. But it's been the most annoying injury ever because I'm right handed. And the cut is right on my knuckle, which means I've been wearing a splint to keep said knuckle from bending. I pulled the stitches out today, though. So now I'm just rocking a band-aid and some medical tape. 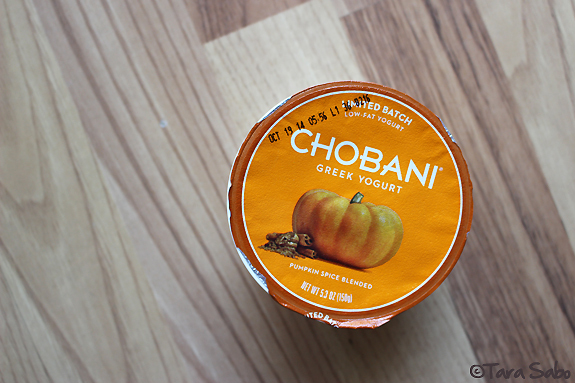 Chobani is killing it with these "limited batch" flavors. Did you get your spoon into some watermelon this summer? I'm still seeing it on the shelf. Run fast. And grab a pumpkin spice, too. I digress. Let's talk about PiYo Live. There are three of us from my gym that went to the certification. We all agree that it rocks. It's been on our schedule now for two weeks and attendance is awesome. Everyone seems to love it, and I'm already getting asked to add more to the schedule. If you're doing the home workout, get to a Live class if you can. In my opinion, a Live class takes concepts from each DVD and rolls them into one 60-minute format. Interested in teaching PiYo Live? When I made the decision to get certified, I scoured the Internet for information about the certification itself: What to expect and what to do before, during and after it. And there definitely is information out there to absorb. Let me add my two cents, which is backed by an ACE personal training certification, experience teaching group fitness, and my perspective as a fitness director. 1) When you're ready to sign up for the certification course of your choice, don't hesitate. They sell out very quickly. And there most likely won't be a waiting list. 2) You do not need a group fitness certification to teach PiYo Live. HOWEVER, a group fitness certification (and/or personal training certification) will be a requirement at most fitness facilities. If you know where you want to teach, strike up that conversation before you sign up for the PiYo Live course. Additionally, most fitness facilities will require a CPR/AED certification, too. If these things are NOT required where you intend to teach, I highly suggest you pursue them anyway. 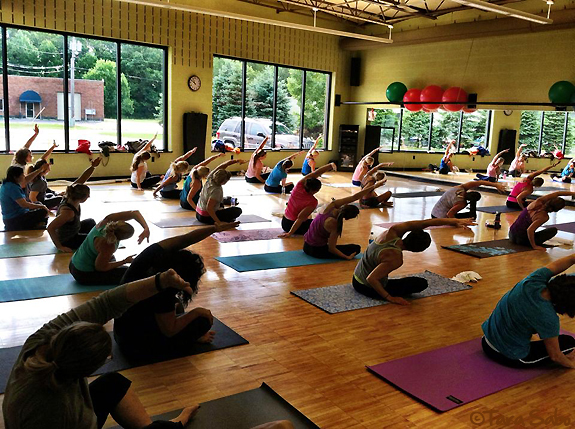 3) You will not stop moving at the PiYo Live certification course. Plan accordingly. Make the days before and after it your rest days for the week. And for real, pack a change of clothes when you go. And lots of snacks. 4) Review the course materials ahead of time. The course itself will focus primarily on active learning, which means bookwork is non-existent. Coming into it with an understanding of the materials will help you dive into the physical aspect of the course. But don't show up without your book. It's sent electronically, so print it or load it onto your tablet. 5) I mean, you obviously need to own a yoga mat. Make it a good one. 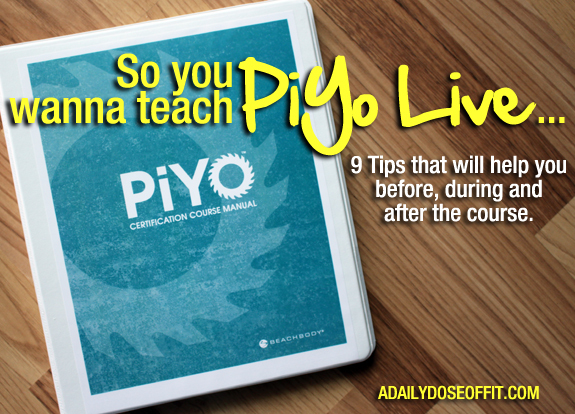 6) The course itself will arm you with the knowledge it takes to teach a PiYo Live class. However, you will not be ready to teach a class when you walk out the door. Your instructor will take you through the latest release a number of different times, but you'll need to go home and memorize/practice it to perfection. Don't wait a week to start doing this. In fact, we took four weeks to memorize/practice the choreography before we rolled it out to our members. 7) Classes are choreographed, and new classes are released more often than you need them. The class structure will not change, but the moves within each section will, which makes it easy to change up your class bit by bit. So sign up for the VIP program. At least for a few months to get a stock of new releases. After that, you could, theoretically, cancel your monthly membership for a bit if money is an issue. Note: If you don't use the PiYo Live material released by Beachbody, you cannot use the PiYo Live name. So there's that. No making it up as you go. Note: The VIP program provides access to marketing materials as well, like posters and postcards and logos—awesome! 8) If your facility has more than one PiYo Live instructor, consider co-teaching. This is what we did. For example, I'd take the first half, then offer modifications during the second half while the other instructor was teaching. It's really helped us as instructors gain the confidence we need to teach the class. 9) You can take this format anywhere, but remember, if you teach outside of a fitness facility, you'll need to secure insurance. Because if anything should go wrong under your watch...hello, courtroom and tons of legal fees. Question: If you teach PiYo Live, what can you add to this list? If you don't teach PiYo Live but want to, what further questions can I answer? PS: Wanna win a selection of Skinnygirl Tasty Nutrition Bars? Enter my giveaway. August Recap / Hello, September!